Although it may seem like an easy task, determining the best sound mp3 player can be tricky. How come? – You ask. Well, first of all many of the top devices utilize the same sound chips and second, it’s difficult to notice the difference between high quality devices if you don’t have „trained“ ears of an experienced audiophile. The best way to recognize the best sound mp3 player is actually to put it to the test. I used a playlist composed of very different music genres, encoded at 320Kbps VBR MP3, setting equal volume levels and disabling sound-effects settings. Of course, I used a pair of my trusty headphones too, and this is what I came up with. If you are looking for the best sound mp3 player and don’t care much about intuitive navigation or the additional “app” style features, the Cowon J3 would be the best choice. Perhaps you will not be thrilled with the design or price that actually put Cowon J3 next to iPod Touch, Sony E845 or Creative Zen Style, but it surely can be considered one of the best sound mp3 players. If you use the stock settings, you may find the Cowon J3 sounds somewhat flat and blurry. However, there is additional high-end detail that reveals clear and focused sound. It can easily drive lower and higher impedance phones. The Cowon J3 does not hiss much, even with the most sensitive to drive multi-armature IEMs. Other Cowons generally hiss more and are not that enjoyable with low-impedance/high-sensitivity IEMs as the Cowon J3, especially at low listening levels and in quiet surroundings. The thing that many would surely appreciate – the Cowon J3 is lightweight and fits comfortably in your hand or pocket. If you are audio enthusiast, as I am, the best part of Cowon J3 which surely makes it worthwhile buy, is the JetEffect 3.0 engine that enables a number of ways to adjust the sound, and far exceeds the efforts of the better known brands. One of the best sound mp3 players Cowon J3 has the incredibly flexible 5-band EQ and each band has four different frequency settings with wide/normal/narrow band options, BBE+, Mach3Bass, stereo and MP enhance options, as well as the ability to add effects like 3D surround and reverb. Probably not many audio experts would want to add reverb to their music, but you can use it to soften the sound of recordings made using the built-in microphone. It enables you to adjust the audio landscape from 80Hz up to 13kHz with 25 gradations of strength and control. In my experience, using this EQ can make music sound terribly. But the fact is – it doesn’t cause distortion even when I choose unbalanced settings. I encode all of my MP3 files at 320kbps and so far this is the best sound mp3 player I have ever heard. It also plays WAV and FLAC files for those who want to improve the sound quality even more. Besides being one of the best sound mp3 players, it offers a memory expansion slot which can take Micro SDHC cards up to 32GB in size. Attention, Mach3Bass can cause booming when over-egged, because it is a simpler bass boost. There is also an FM radio, which is possible to record from directly, the files are then saved within the internal memory, and can be played back from the music player interface. The Cowon J3 mp3 player has been present on the market for some time now and is mostly known for the sound quality. Personally I find it great because I don’t have to worry about running out of space quickly. So, I would definitely recommend to those who are looking for a portable best sound mp3 player and are huge fans of excellent sound. Just make sure you use higher bitrate mp3s, and use a pair of quality headphones. 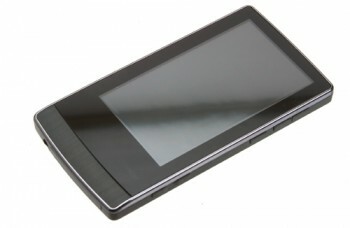 Let’s face it, the Cowon J3 mp3 player is not among the cheapest, the prices go from 170 to 400 $. But I strongly advise you to take the Cowon J3 into serious consideration if your priority is best sound mp3 player because I believe it is the best player Cowon has ever made. Summary : If you are looking for the best sound mp3 player and don’t care much about intuitive navigation or the additional “app” style features, the Cowon J3 would be the best choice.